This product is now discontinued. Please see Teamac Metalastic Black Bituminous Paint as a potential alternative. 901 Black Jack Black Bitumen Paint is suitable for corrugated iron, fire escapes, stairways, oil storage tanks, gutters, downpipes, fences, railings, gates, roofing, brick, concrete, felt or wood. Everbuild Black Jack Black Bitumen Paint is a solvent based, full-bodied black bitumen paint which provides an effective waterproof, weatherproof, corrosion resistant protective coating to most common building surfaces. Everbuild Black Jack Black Bitumen Paint is a ready to use fast drying protective coating, suitable for metals, concrete, stone, brick, sand/cement surfaces and for overcoating felt/wood.Black Jack Black Bitumen Paint dries to form an odourless, taint free bitumen surface providing a waterproof and corrosion resistant coating.Black Jack Black Bitumen is resistant to low concentrations of alkalis and acids and can withstand prolonged oxidation. Everbuild Black Jack Black Bitumen Paint is ideal for use where an effective waterproof, weatherproof and corrosion resistant coating is needed. Black Jack Black Bitumen Paint is suitable for use on many different substrates such as corrugated iron, fire escapes, stairways, ladders, storage tanks, gutters, downpipes, fences, railings, gates, concrete roofing, stone, brick, concrete screeds, sand/cement surfaces, and for over coating felt/wood. Everbuild Black Jack Black Bitumen Paint is ready to use and is applied by paint brush or spray.A minimum of two coats is recommended, allowing for thorough drying before over coating (usually 2-4 hours depending on weather conditions). 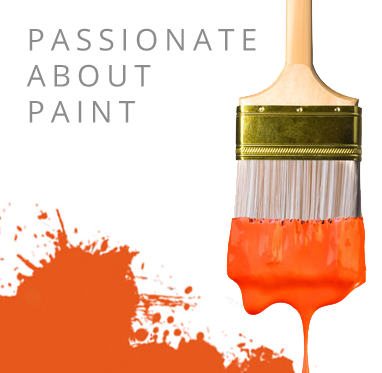 Clean paint brushes using white spirit.Where long term corrosion protection is needed it is recommended that a rust inhibiting primer is used.Porous surfaces will also need priming. Use Everbuild Black Jack Black Bitumen Paint on sound, stable and thoroughly cleaned dry surfaces.Black Jack Black Bitumen Paint is ideal for use on a wide variety of surfaces including iron and steel, lead zinc, aluminium, asbestos-cement, concrete structures, stone, concrete roofing, felt, fibre cement, asphalt and wood to prevent damage from water attack. Corrugated iron, fire escapes, stairways, ladders, storage tanks, gutters, downpipes, fences, railings, gates, concrete roofing, stone, brick, concrete screeds, sand/cement surfaces, and for over coating felt/wood. Teamac Metalastic Paint for Wooden and Metal Barns, Sheds and Farm Buildings, Water Tanks and Gutters. An all-in-one treatment for wet rot, dry rot, fungi and wood boring insects that out-performs solvented products.